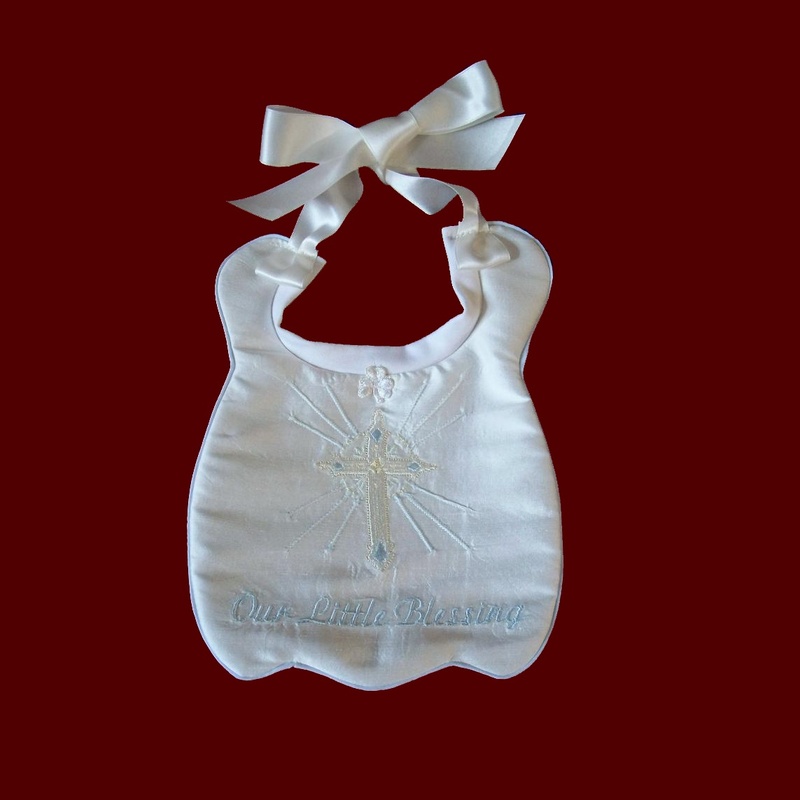 Girls Scalloped Personalized Christening Bib. 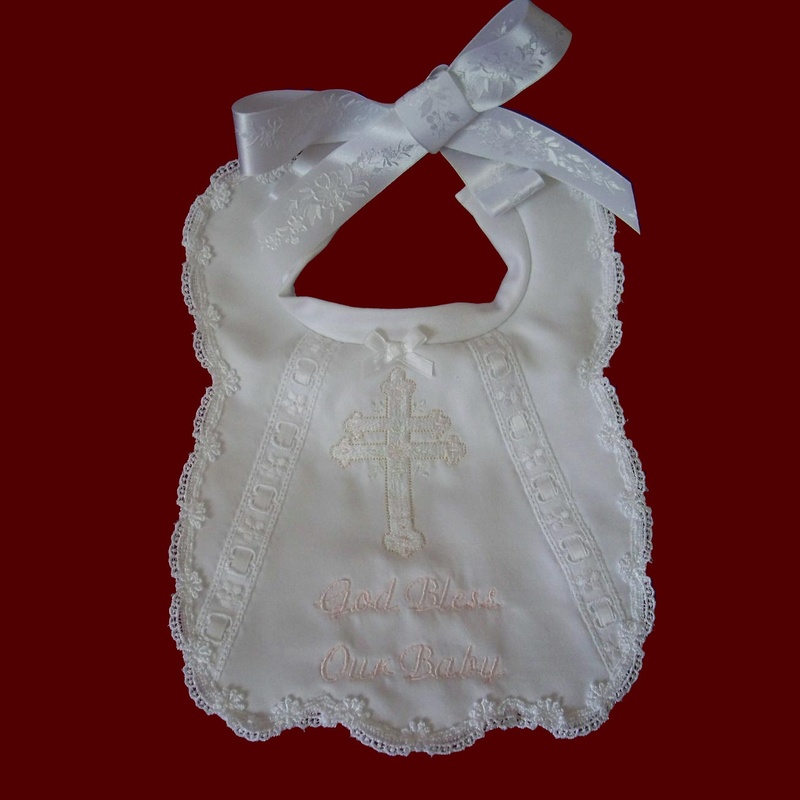 Trinity Roses Girls Christening Bib. 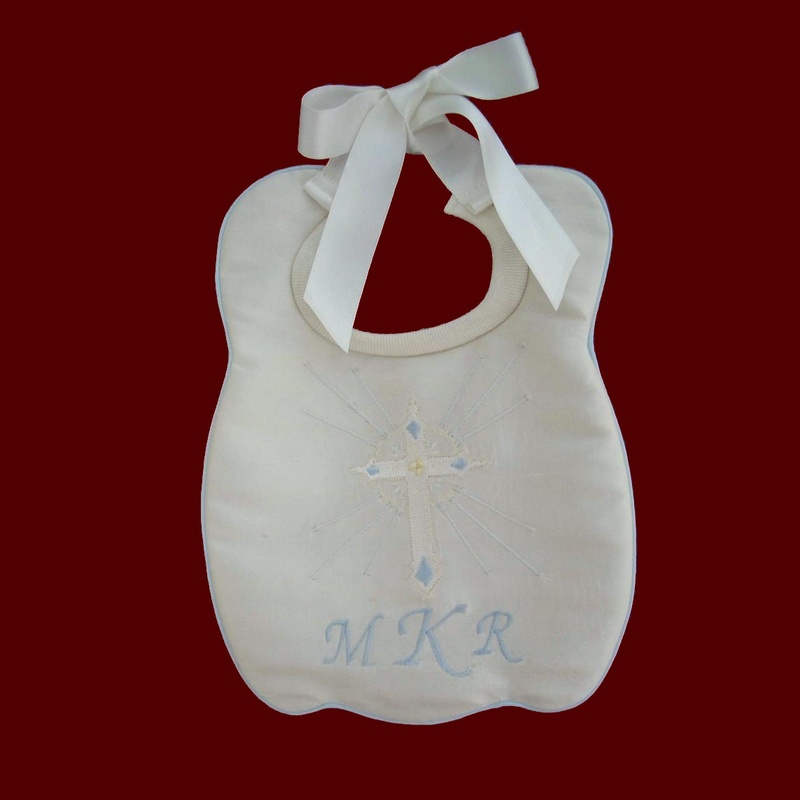 Monogrammed Christening Bib With Optional Shamrocks. 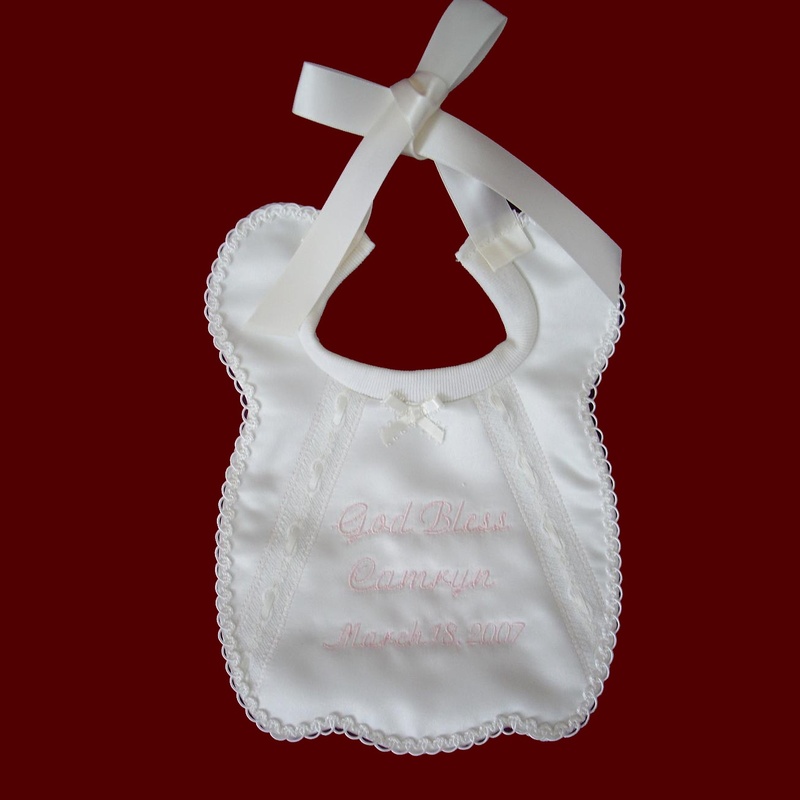 Scalloped Personalized Girls Keepsake Bib. 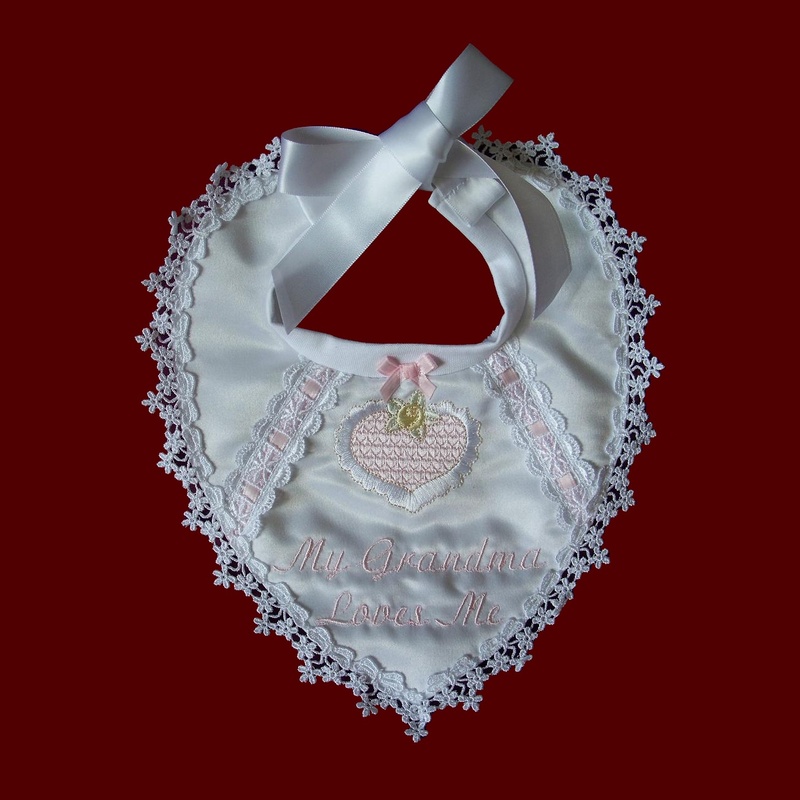 Christening Bib with Swiss Cross & Heart Appliques. 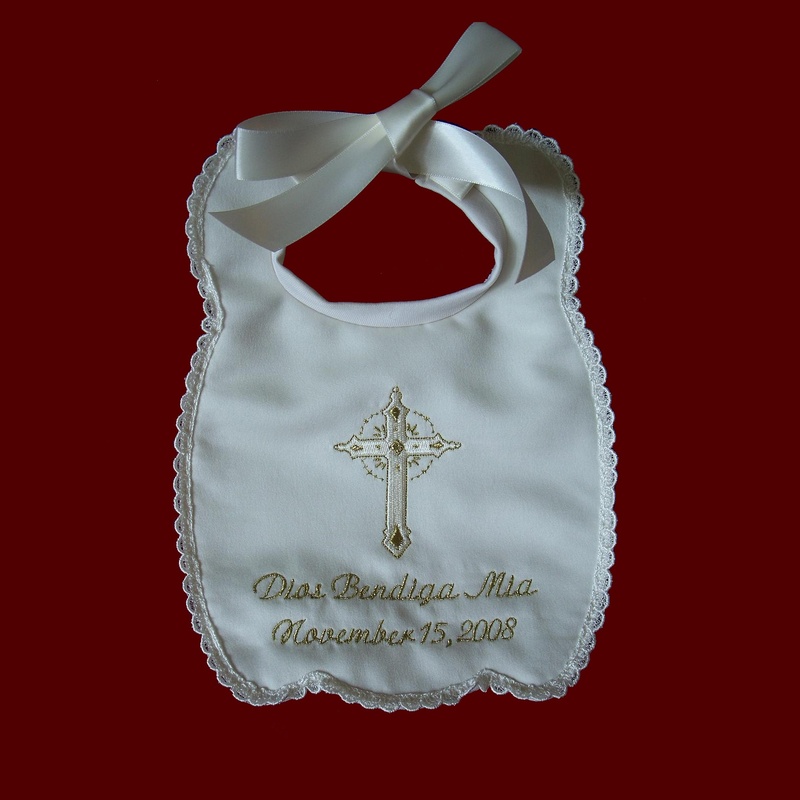 Keepsake Christening Bib With Gold or Silver Accents. 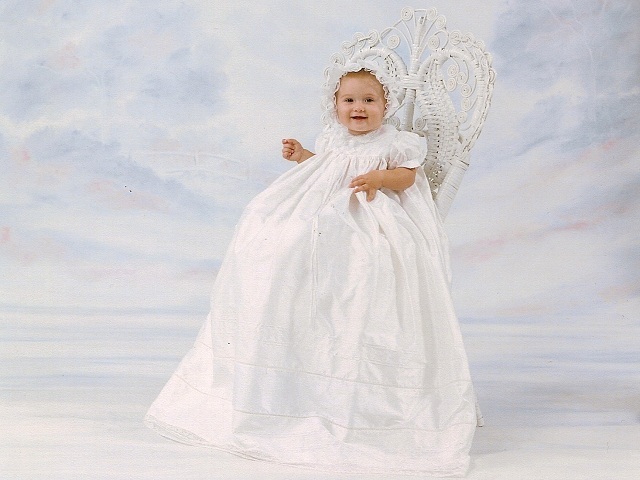 My Godparents Love Me Christening Bib. 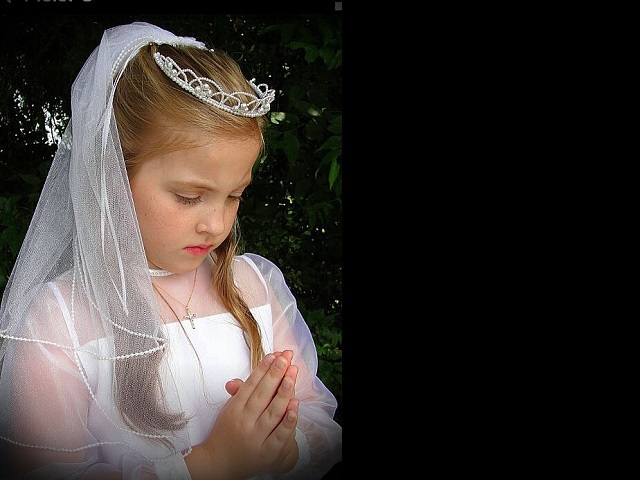 Bless This Child Christening Bib. 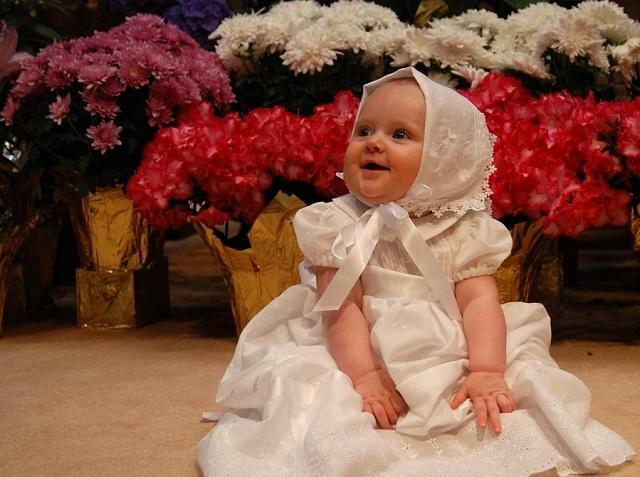 Precious Child of God Christening Bib. Personalized God Bless Baby Bib With Date. 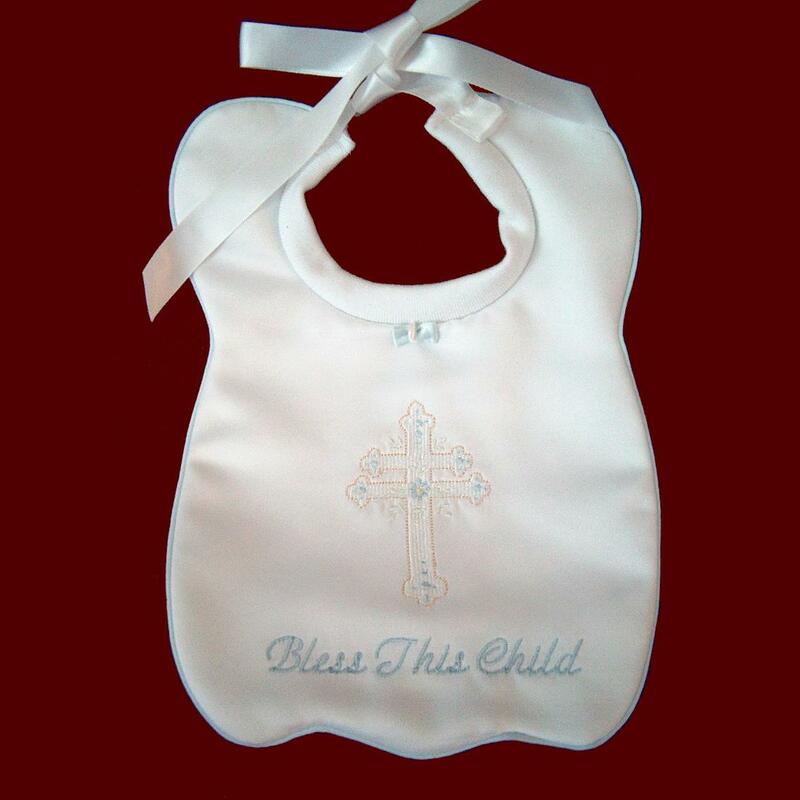 Our Little Blessing Christening Bib. 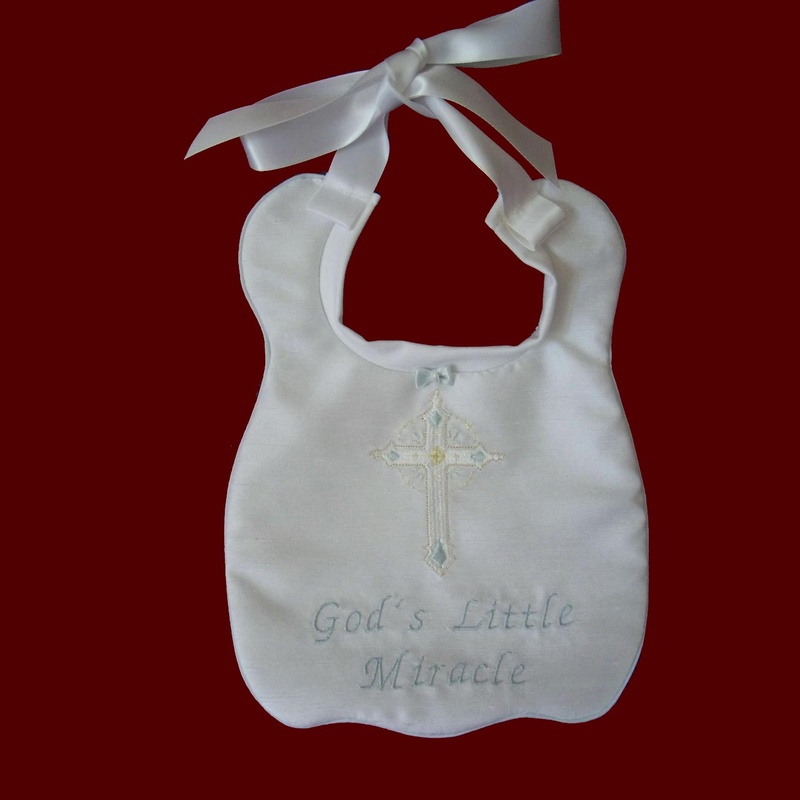 "Gods Little Miracle" Christening Bib. 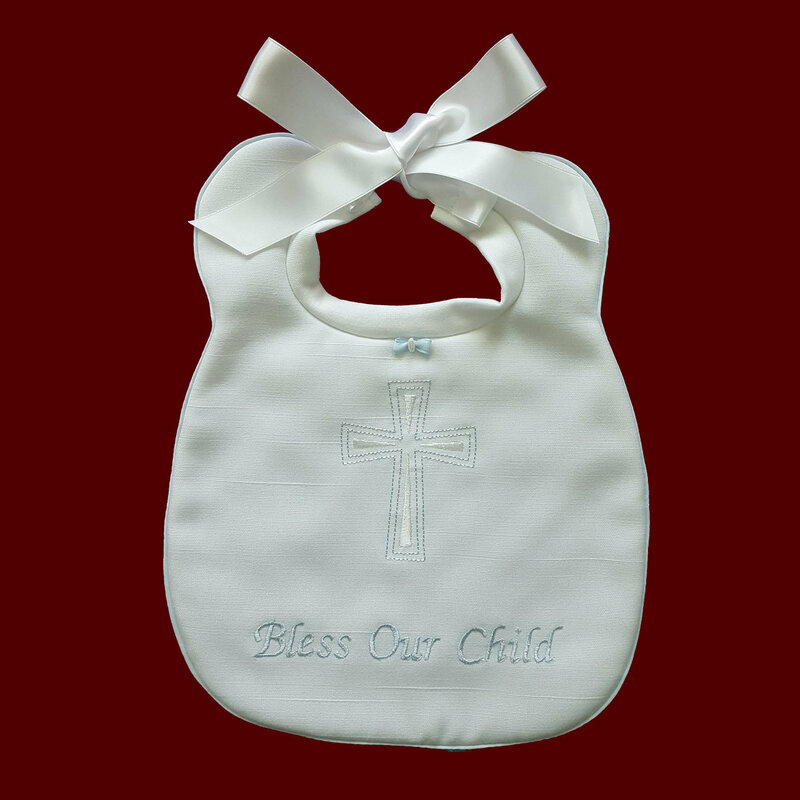 God Bless Our Baby Christening Bib. 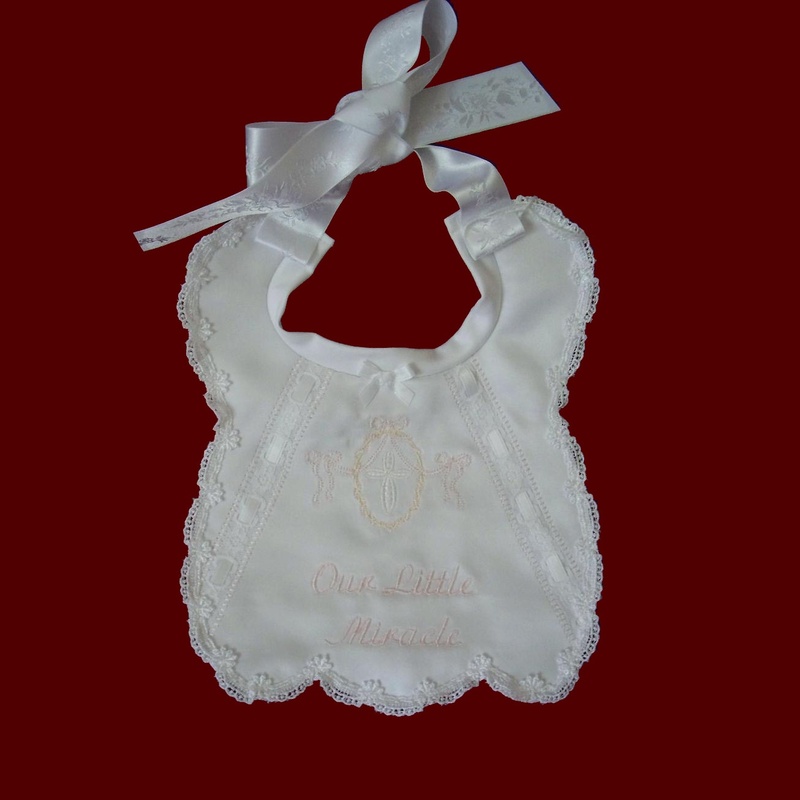 Heirloom Swiss & French Lace Christening Bib. 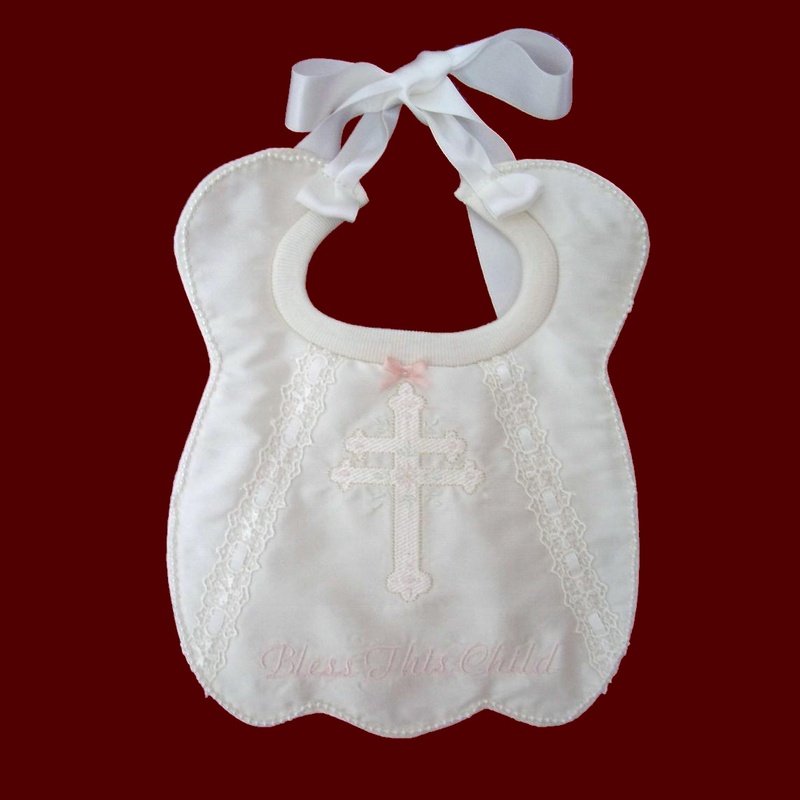 Our Little Miracle Christening Bib. 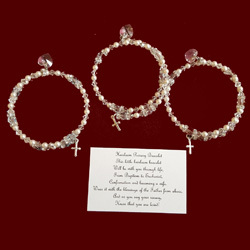 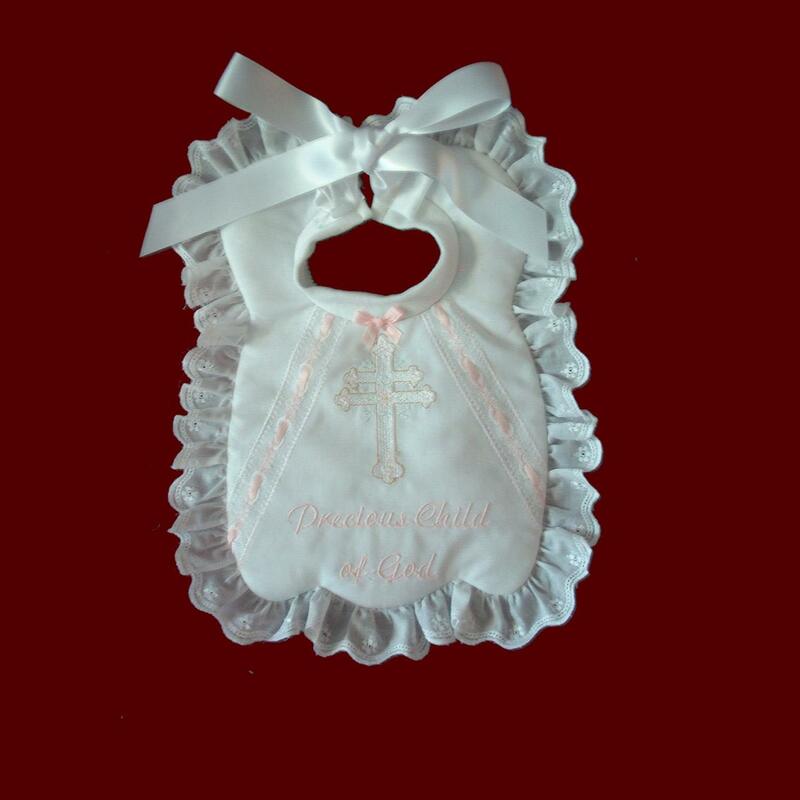 Silk Dupione Christening Bib With Pearls. 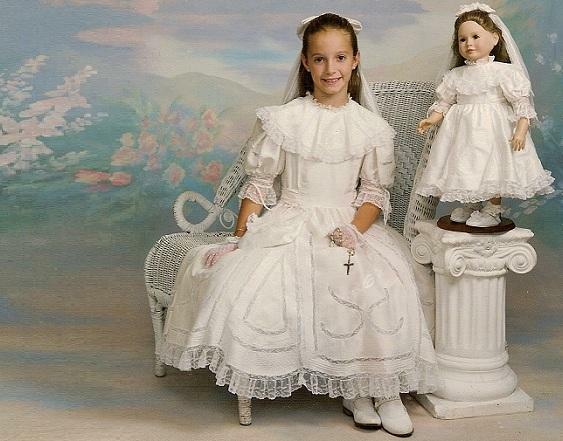 Bless This Child Bib With Pearls. 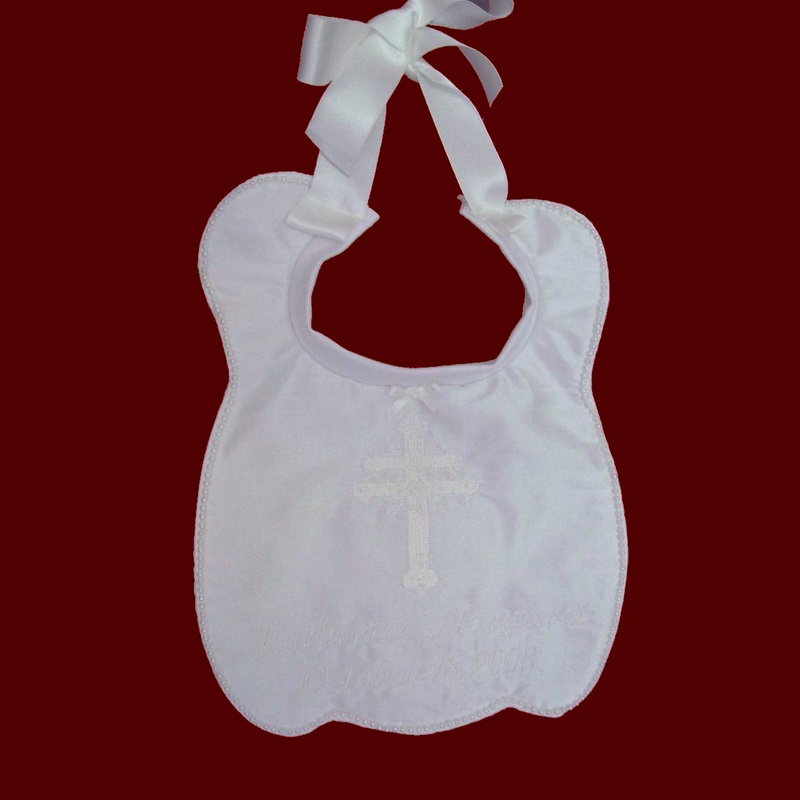 Monogrammed Christening Bib With Cross. 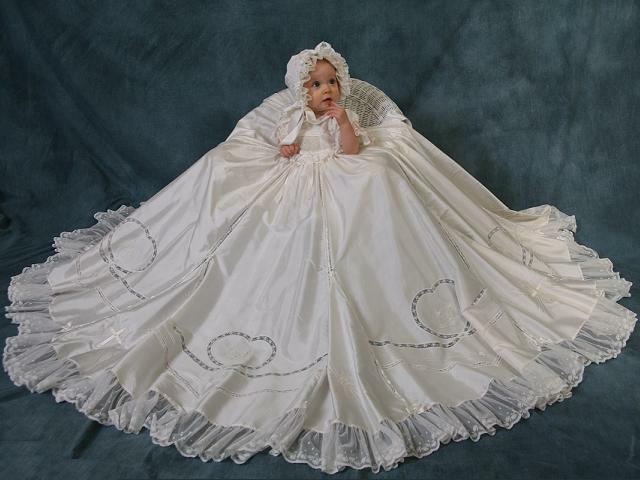 Scalloped Organza Lace Girls Christening Bib.